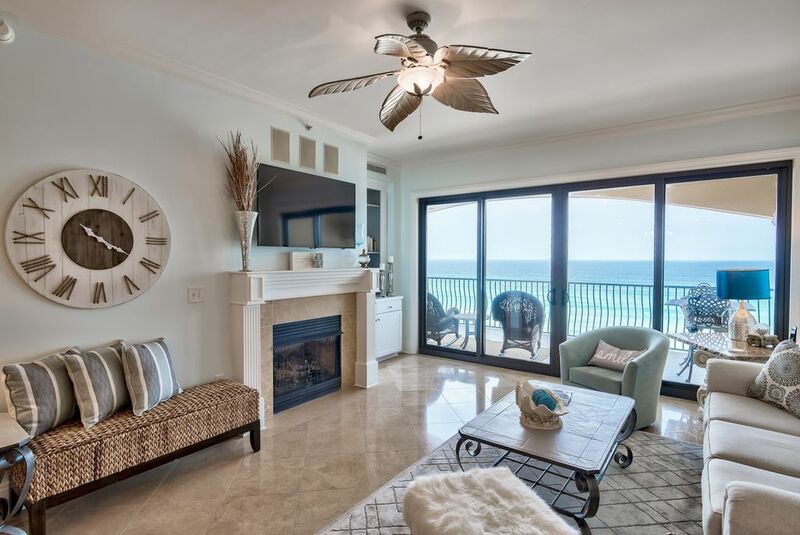 Luxury TOP Floor Gulf Front Condo Unit 402! Newly Renovated! Had VC 402 and 403 for 15 people(8adults & 7children) Units we’re comfortable, central air great, extremely clean and easy to use. Master Bedroom 403 bed was extremely uncomfortable- slats & support seem to be broken and two people had to sleep in the middle of a bowed mattress. Mattress for Master was ultra soft with no support. All other beds in 403 were ok. In 402: Master Bedroom mattress was extremely soft. No back support whatever! All other beds in 402 ok.
TV in 402 extremely complicated! Had to get maintenance to service in living area! Sound on Master BR TV did not work on some channels, maintenance man said could not fix! No dead bolt lock on 402. Overall the units were modern, clean, well stocked, and comfortable with the above exceptions noted! $7,000 including tax for each unit for 6 days!